Fenner Precision Polymers has retired the landmark chimney at its Lincoln site after more than 100 years’ following a £650,000 investment in green technology. 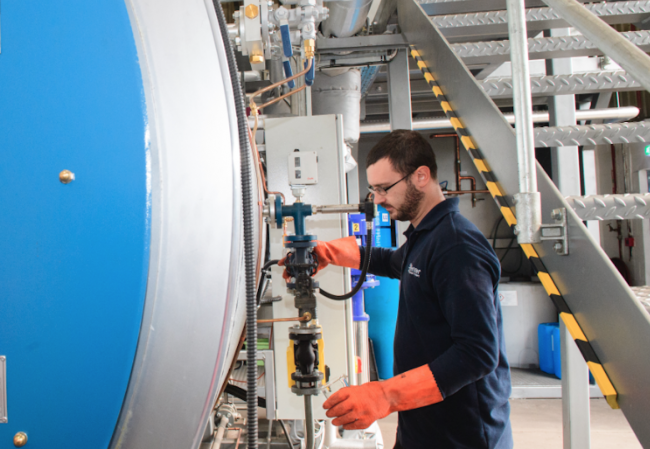 The firm, which manufactures a diverse range of silicone and rubber products for engineering customers worldwide through its brands James Dawson and Fenner Precision, has called time on the famous 105-year-old smokestack, replacing its ageing coal-fired boiler with an energy-efficient gas alternative. It’s the latest in a series of sustainable upgrades at the site on Tritton Road, where electric vehicle charging points have been installed for staff and all lighting has been replaced with power-saving LEDs. Together, the improvements, which cost more than half a million pounds, will cut the company’s annual energy bills by more than £160,000 a year. Paul Edwards, managing director of James Dawson, said: “As Lincoln’s second biggest private employer, we want to do our bit to make the city a better place to live for our workforce and the wider public. This investment is a notable and visible reduction to our environmental impact, and will ensure every product we make combines the latest innovation with sustainability. “Many of our manufacturing processes are steam-powered. By replacing our old, inefficient boiler with this new one we can actually produce more steam from less energy. It’s a big expense but one that should quickly pay for itself in efficiency and cost savings. The company has been in business since 1896. Today its advanced silicone and rubber industrial hoses and belts power everything from cash machines to the largest offshore wind turbines and earth moving machinery, with more than half of all products sold for export. With a workforce more than 300-strong, it turned over £30m last year and was recently awarded the latest ISO 14001:2015 status for environmental management. The now-retired chimney was built in 1913, just across the road from where William Foster & Co later produced the world’s first tank. In recent years since, the area has been transformed from heavy industry to retail, residential and, more recently, a growing university campus. Fenner now neighbours the £7m Lincoln Boole Technology Centre and the upcoming £150m St Marks redevelopment.